Borrowed from, ‘The Girl Who Ate Everything‘, Kyla found this first and passed it along. It’s a perfect way to season just about anything, but my go-to is definitely ground meat. Specifically, ground meat in a bowl on a weeknight. 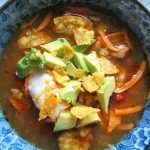 For us, one of our favorite combos is warm brown rice or quinoa or beans, taco seasoned ground chicken, chopped iceberg, chopped tomatoes, chopped avocado, sour cream, salsa and hot sauce – any way you stack it, it’s a quick and delicious ‘burrito bowl’. This is something both Kyla and her sister whip up regularly, but I also know that Kyla’s family loves taco seasoned meat on their homemade pizza – enjoy! Combine all of the spices in a small bowl – this will yield just under 3 tablespoons of mix (which is why I always double this recipe). Store any unused mix in an airtight container. ‘The Girl Who Ate Everything’s’ recommendation is to brown the meat and drain the fat (I usually do this with onions and garlic too – I use really lean meat, so no extra fat to drain). 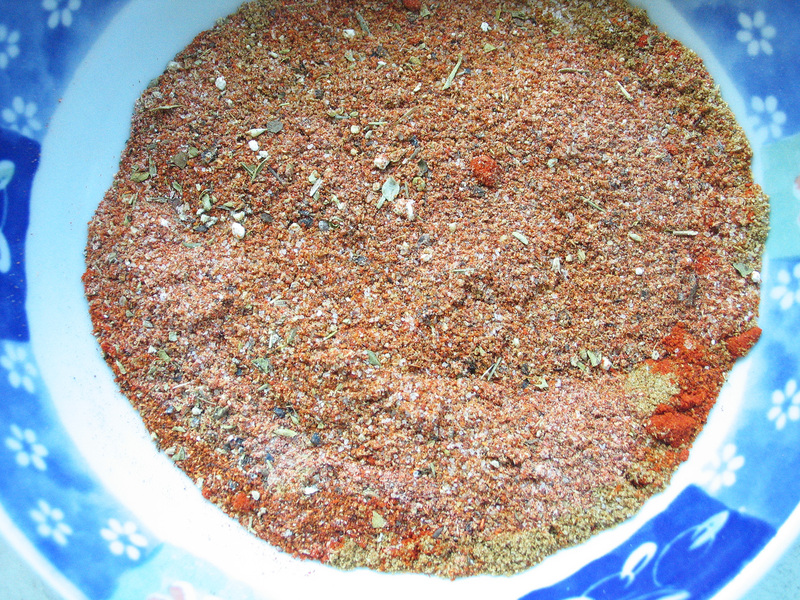 Add in your taco seasoning – 2 T. per 1 lb. of ground meat – and a half cup of water or so and simmer until the water is absorbed, or your mix is as saucy as you’d like. If you’re making actual tacos, you may wish to sprinkle the cooked meat with a tablespoon or 2 of flour and mix well (before the seasoning and water gets added), in order to have a thicker taco meat mix. This is also a great mix to travel with…it makes for a very easy meal anywhere you may be vacationing with a kitchen!